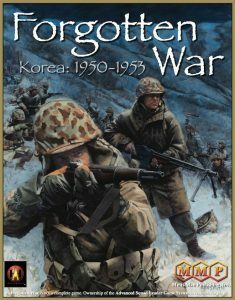 MMP has begun shipping ASL Korean War and by all accounts it is another fine gem in the ASL catalog. If you missed the special pre-order price from MMP, you can still order it her for that price for another few days. As soon as MMP finishes shipping their pre-orders, we should be receiving and shipping your orders to you (Probably 2-3 weeks). The first copies of Objective Schmidt from BFP are finally arriving and should be shipping out to you no later than Tuesday. Thank you all so much for your patience. 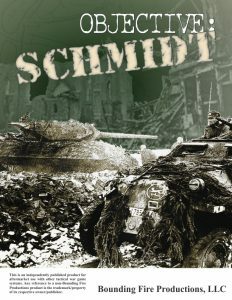 You can still order a copy of Obj: Schmidt here for the pre-order price of $88 shipping included. 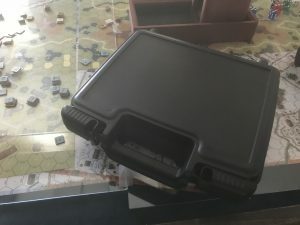 Exclusively from Ritterkrieg, we are offering this hard case, foam lined storage container for your Battledice. What better way to protect, organize, and show off your collection of precision ASL dice. 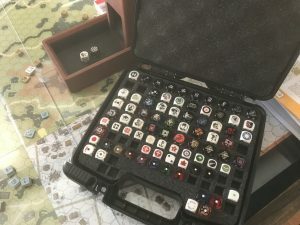 The case can store up to 92 dice (50 x 16mm, 36 x 14mm, & 6 x12.5mm). Actual film footage from our tournament last year. The 4th Annual ‘Where the Iron Crosses Grow’ ASL Team Tournament will be held March 23th – 25th 1st, 2018. World renowned as being the best and oldest ASL Team Tournament in the entire Kernersville, NC Area. Spirit Of The Event: This event is held for fun. If you are the type of player that never looks up from the table to make eye contact with your opponent, doesn’t make small talk or tell stories, will only play scenarios that you have mastered, or get’s offended by jokes about Ken’s mom, then you might not have a good time being here and we probably won’t have a good time having you here. Sorry to be so blunt but we take our lack of seriousness very seriously. Format: Team Tournament. Each team is made up of 1 Veteran, 1 intermediate, and 1 Novice player. Each player plays round-robin games against the other players in their class gaining points for their team. Location: 918 Maxine St. Kernersville, NC. 27284. Accomodations: Ray Woloszyn and I may both have room for travelers to stay with us at our homes (Ray lives in the neighborhood next to mine) unless you are really creepy. Scenario list: None. Play something that you would like to play not what I would like you to play. All scenarios choices are upon mutual agreement of the players. Prizes: Too many to mention. Plus some participation awards so everyone feels like a winner. Limited Space and Availability: There are only 16 spots total for this event so register early.